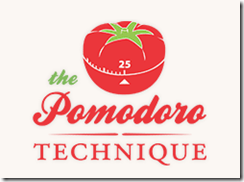 You are here: Home » Pomodoro Technique: How Does It Help Your Productivity? I am usually juggling a half a dozen tasks at anytime and as any fan of productivity knows that this is a recipe for disaster. I have tried different productivity tips and task managers online and offline but never really got a good grip on it. I have finally gotten down to listening to David Allen’s Getting Things Done: The Art of Stress-Free Productivity book on Audible. I am 1/4th through the book and I am really committed to trying out this system and see if it helps me. I’ll write more about it in the coming weeks. It was a mistake though to try using a GTD based task manager without fully understanding the concept. But, in the meantime I came across this article titled “How to Rebuild Attention Span and Focus” on Lifehacker. This screamed ‘please read me’ at me as that is exactly my problem is. My attention span is so bad that I sometimes mindlessly switch between my Firefox or Chrome tabs. I get ‘zen-like’ concentration only while I am working under dire circumstances, like when a server is down or a site is down, etc. Other times you don’t even want to know. The article goes in depth on a lot of good points and you can read them there. What caught my eye in the article was ‘the Pomodoro technique’. Francesco Cirillo created the Pomodoro Technique™ in 1992. It is now practiced by professional teams and individuals around the world. As simple as it sounds just in a few days of trying out this method I feel like I have accomplished a lot with so much better concentration than I have in a while. How to implement Pomodoro Technique? I started using a 10 minute timer instead of a 25 minute timer with 2 minute breaks. I intend to keep increasing this pomodoro. In fact, I found in a couple of instances that I kept going for 2 or 3 sessions without a break when I could concentrate on the task at hand like that. I also find that listening to a lyric-less music helps with focus. The pomodoro timer could be as simple as a kitchen timer to something advanced like a desktop timer software that lets you enter notes and track your progress later. In fact, there is even a PomodoroTechnique Timer Google Group where you can find references to timers for various platforms such as Windows, Linux, Mac OS X, iPhone apps, Symbian apps, etc. 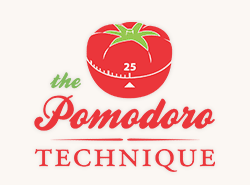 You can also download a free Pomodoro Technique ebook (pdf) and read all about it. It is an interesting read and definitely could prove to be a great help in managing your time better. What kind of time management tactics do you use? Different methods work for different people. I am still discovering mine and I will share my experiences here. I’m completely with you on the GTD + Pomodoro combo. One for managing my tasks, the other for managing my time. And the number of pomodoros I do in a day is a great indicator of my global productivity (in fact I built an iPhone app around this idea, don’t hesitate to contact me if you need a promo-code). I have bookmarked it and I am looking forward to reading new articles.Keep up the good work!